Small Pocket Knife with LED Light. 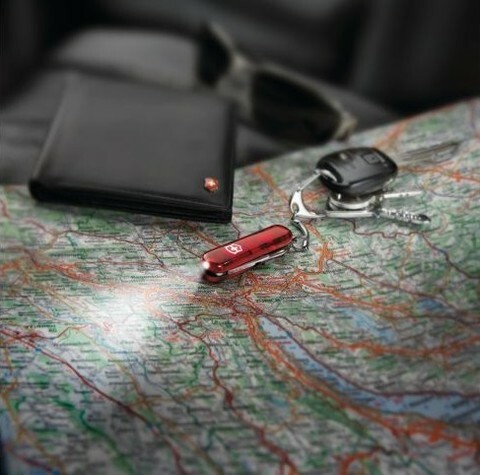 Thanks to its powerful LED light, this pocket knife lets you cut through the dark with style, so you can keep exploring in any condition. 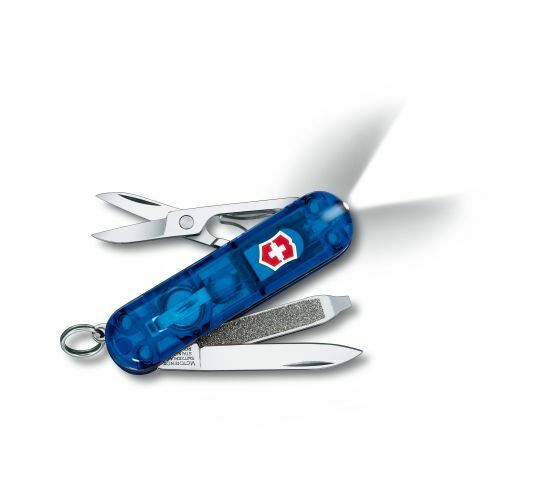 Travel light and fully equipped with seven functions including a screwdriver and scissors. 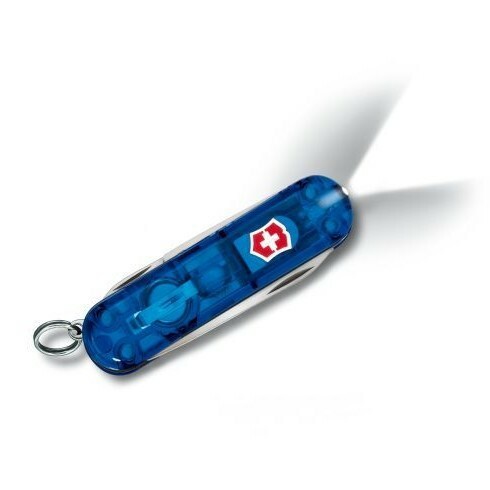 As elegant as it is practical, the Swiss Lite encapsulates all the Victorinox spirit in a slick and iconic design. 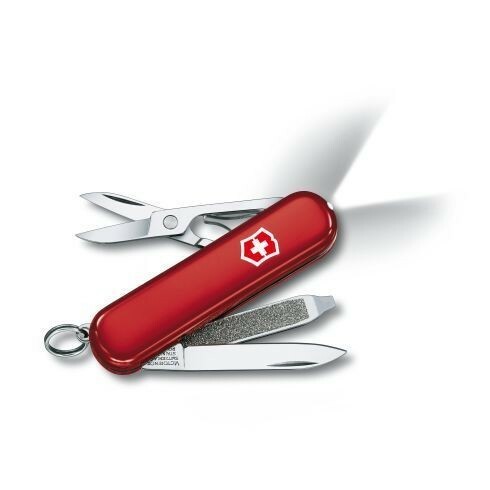 Available Colours Red, and Blue.